Tomorrow will be my last day at work. I took on an assignment that should have lasted until the end of March, but I find working five days a week just too much for me. I have some health issues that make working five days straight difficult and an employer has a right to expect the person they hire to be there. I asked my director to find someone else and she did. She made it very clear that she loved having me there, that my personality is a good fit with the other staff members and my work has been impeccable. I thought that was extremely gracious of her, considering that this is a bit of a headache for her having to train someone else, etc. However, we are parting on good terms and that is extremely important to me. The upside of this is that I will have more time to craft now. 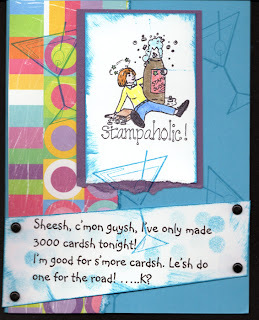 And, just so you know, I love the Bella stamps. I'll share a few of the cards I've made here for you to see. 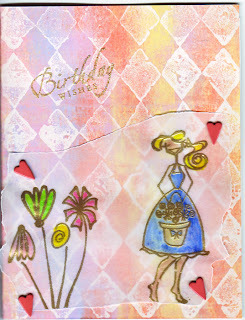 I'm no "artist" compared to some of the crafters I know from The Stamp Shack, but I love making cards nonetheless. Enjoy! Well, I had to join the bandwagon! Now some of the members have been busy creating their own blogs to showcase their cards and to note down their thoughts about this and that. Being the follower that I am, I had to join the bandwagon because most of the time I don't have original thoughts of my own. At least not often. So here is my blog. I'll try to write something every day that may be of interest and someone may think it is worth reading, I don't know. 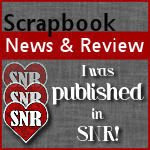 I will start adding some cards and perhaps this blog will actually inspire me to really get creative. Here's one of my favourite cards. Another of my very favourite things to talk about is my grandsons. I have two, Owen and Jackson. They are almost 8 months and 7 months, respectively. I'm very proud of them and, no doubt, will be discussing their antics from time to time. I'll be going to see them in Toronto (Guelph, actually, if anyone is familiar with Southern Ontario) in about two weeks and I'm super excited. One of them lives in England and the other one lives in Guelph, so I'll get to hug both my grandbabies for a whole 7 days. There will be stories to tell when I get back. I think I did alright for my first post. Let's see what future posts may bring. Have a great day, everyone.